Carrying a smart phone does not mean that you are smart. Here are the few apps which can make you really smarter. 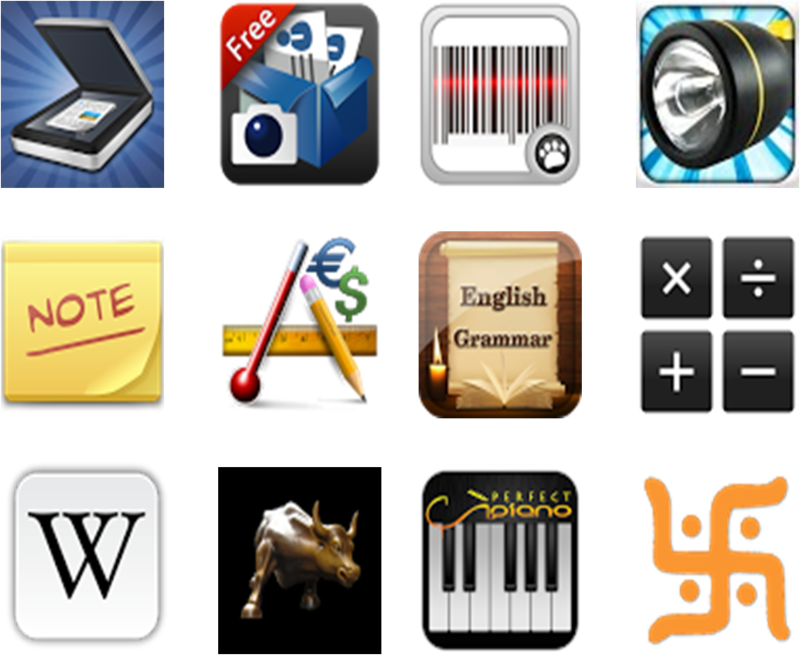 I have downloaded them from Google Play Store on my Sony Experia S – An android phone. 1. CamScanner : It is a portable scanner. Scans document, notes, passport, voter ids, receipts, tickets etc. The scanned images can be shared easily via Bluetooth or email. Dont think this as a part time scanner, you can find alost the same quality as with original scanner. 2. Camcard : Its totally a magical app. You scan a visiting card and this app will import the phone number, email etc directly to the contact list. 3. Barcode Scanner : Scans the barcode and if you got internet connection, know about the details of the product. Scanning a generic barcode will assure that you are getting a right product even from non standard shop. 4. FlashLight : Your mobile behaves like a torch. 5. ColorNote: A notepad. Also it has checklist. I use this while go to any super market for weekend purchasing. 6. ConvertPad : A single app which helps you in converting temparature, distance, Fuel, time, length. Also so many physics concepts on heat, force etc. 7. English Grammar : From ZAYAN Infotech India(P) Ltd. Excellent about nonu, pronoun etc topics. 8. Real Calc : The scientific calculator you used during your engineering. 9. Wikipedia : You dont need any browser to search a topic in wikipedia. 10. Stock Watch : BSE /NSE share details with excellent appearnce. 11. Piono Perfect : [Revontulet] Enjoy in playing Piona over the phone. 12. HinduCalendar : Apart from a general calendar, you can find festivals also. Know about the amrit kal, shukla paksha, amawashya, poornima etc.